Welcome to The Key Lime Festival: America's favorite citrus celebration! In the Florida Keys we like to celebrate the things that make our islands unique. Citrus, eccentrics, people & pie. Our celebrations are fun, odd & unforgettable. Our people are too. 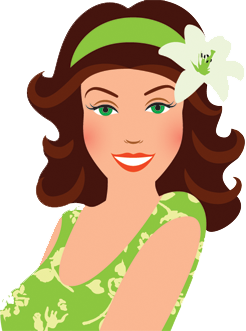 Come on down to the birthplace of Key Lime Pie for a little taste and you will see what we mean. Love & Limes! 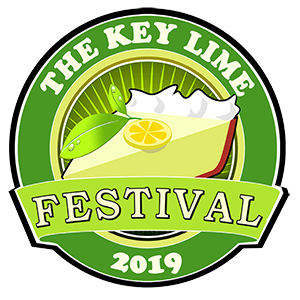 2019 is shaping up to be the best Key Lime Festival yet. We're pleased to offer a full 4 days of culinary events for every taste, including favorites from past years like the Key Lime Cocktail Sip & Stroll and Key Lime Pie Hop, and new favorites for Key Lime lovers like The Key Lime Scavenger Hunt and Key Lime Cookbook Signing & Champagne Reception. We've also added intimate culinary events. Once again, we expect most of the events to sell out. Check out our 2019 schedule below. Registration will open soon. Do you have what it takes to be crowned the Key Lime Pie Eatin' World Champion? Register if you think you can devour a 9" Key Lime Pie faster than the competition. This world famous event receives national media exposure and ranks among the sweetest competitive eating contests around. Not up for the challenge? Take a front row seat to cheer the champions as the brave contestants tie their hands behind their backs and dive face first into a mountain of Key Lime goodness. Doors open at 10am. Contest starts at 11am. This is without a doubt the best way to spend your day. Free to watch. Entries are just $20 and include notoriety, a Key Lime Pie and a chance to be a champion. Click here to learn more. Watch the skies come alive. Your support of the Rotary Key West Fireworks and Scholarship Fund Drive Wednesday evening goes a long way. This is the perfect way to finish the festival weekend with a bang. For more information, click here. ​Sample rum made with real Key Limes grown in the Florida Keys and tour Key West’s very first legal rum distillery. Free event. Click here to learn more about Key West's 1st Legal Rum Distillery. ​Get ready to see Key West like never before on this whirlwind adventure with a Key Lime twist! 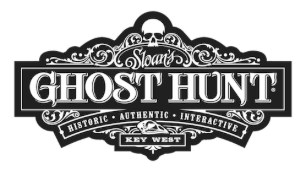 Clues will lead your team to famous Key West sights, iconic landmarks, hidden local favorite places, and of course a bar or two along the way. Earn the most points and the you’ll lead your team to victory and take home the grand prize and the ultimate bragging rights! Click here to learn more. ​Sip Champagne on the veranda of the 1869 mansion where Key lime pie was first created and meet Key Lime Festival co-founder and Key West Key Lime Pie Cookbook author David L. Sloan. Ticket price includes a glass of Champagne, an autographed copy of David L. Sloan's Key West Key Lime Pie Cookbook and the opportunity to explore the public rooms of the Curry Mansion, including the famous widow's walk and the kitchen where Aunt Sally created the first Key Lime Pie. Sloan's cookbook includes the fascinating history of Key Lime Pie, rare native recipes, plus 20 recipes each for crusts, fillings, toppings and sauces that you can mix and match to create more than 150,000 varieties of Key Lime Pie. The Curry Mansion was once home of Florida's first millionaire. Tickets must be purchased in advance. Autographed cookbooks and Champagne will be provided at the event. 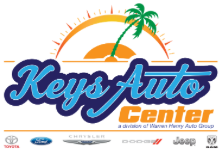 Our Pie In The Sky Sponsors, The Key West Art & Historical Society will host the 2019 Key Lime Pie Drop, part of the Key Lime Festival. Come to the Key West Lighthouse to see Key West's most creative minds attempt to outsmart gravity by finding a way to drop a Key Lime Pie from the top of the lighthouse to the ground... without damaging the pie. Try dropping your own pie, or just enjoy the spectacle from the ground. A perfect day of food, fun and friends, The Key Lime Pie Drop is an event you don't want to miss. If you like to drink & judge, this is the event for you. Decide who makes the best Key Lime cocktail on the island as 10 bars compete for your vote with the finest margaritas and martinis in Florida. Travel between 8 bars at your own pace between 2pm-4pm. $30 includes samples of 10 or more drinks. Free souvenir mug for the first 100 people to register. The Sip & Stroll starts at the General Horseplay, 423 Caroline Street. Winners will be posted the following day. Click here to learn more. Brunch is always a good idea! The Southernmost Beach Cafe will be featuring a special Key Lime French Toast in honor of the Key Lime Festival! ​Located right on South Beach – oceanside on the Atlantic end of Duval, it’s a beach location like no other and is the most desirable setting in Key West for oceanfront dining and cocktails. Join your friends for a leisurely stroll through the town where Key Lime Pie was born with stops to sample five variations of Key West's favorite dessert. From classic to creative, your taste buds are guaranteed a good time on this popular culinary event. Sample the best of the best of our island’s Key Lime Pie! $30 (includes 5 pie samples and a free 2018 Key Lime Festival T-shirt!) Click here for more information. Stay Tuned for a Complete List of Stops for the 2019 Key Lime Pie Hop! Join Isle Cook Key West and Chef Paul Menta, local chef, distiller, and entrepreneur to learn the secrets of Key Lime cooking. Using Key Lime, fresh local seafood and farm-fresh produce, Chef Menta will prepare an appetizer, entrée, and dessert for your enjoyment while regaling you with tales from Key West past and present. This incredible experience is limited to 12 participants, and reservations are required. Please contact Isle Cook Key West at 305-741-7443 to reserve. Tickets are on sale now! Are You Crazy for Key Limes?